Emerge from the cosmic dark age of a fallen galactic empire to build a new future for your people. 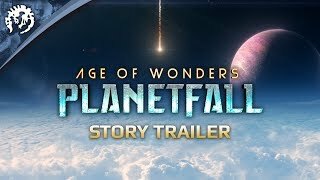 Age of Wonders: Planetfall is the new strategy game from Triumph Studios, creators of the critically acclaimed Age of Wonders series, bringing all the exciting tactical turn-based combat and in-depth empire building of its predecessors to space in an all-new, sci-fi setting. Sign up today to be among the first to rediscover (and retake) the remnants of the Star Union. 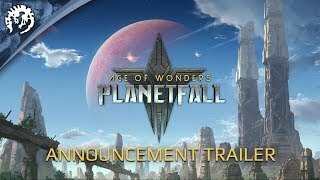 Sign up to the Planetfall newsletter to receive news on upcoming content and exclusive deals from Paradox Interactive. Strategic Turn-Based Sci-Fi Combat - Perfect your combat strategy in intense turn-based battles featuring a large cast of factions, customizable units, and destructible environments. Discover a Rich Science Fiction World - What secrets will unfold when you uncover the history of the fallen galactic empire? Discover the fate of the Star Union by exploring lush landscapes, wild wastelands and overgrown megacities. Encounter rival factions and discover hidden technologies long forgotten in abandoned places.